Ships tomorrow if you order in the next 16 hours 45 minutes. 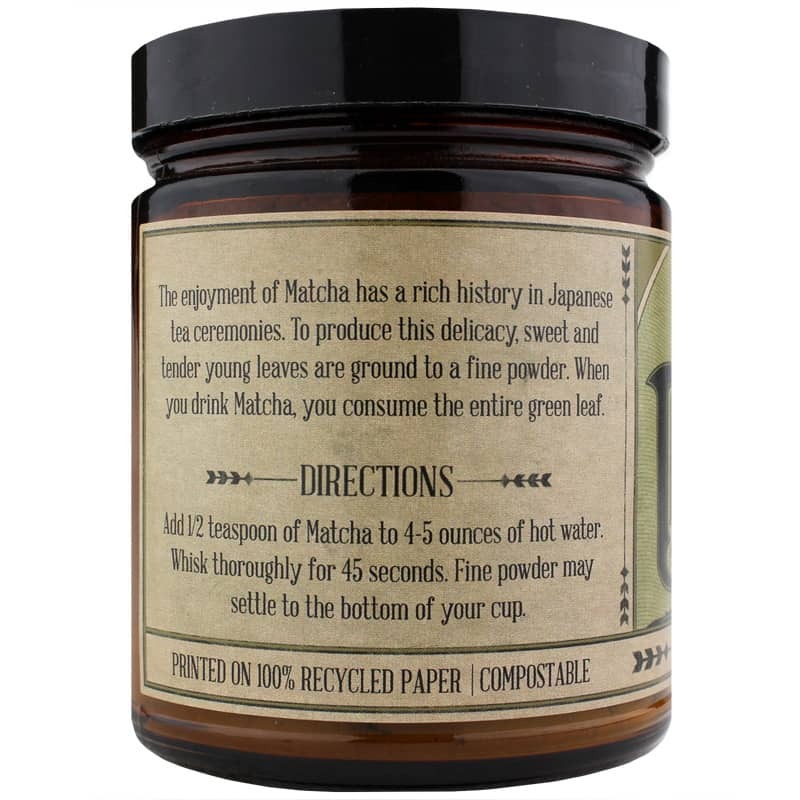 Organic Matcha Tea from Mountain Rose Herbs is a deeply alluring, antioxidant rich beverage containing rich historic roots within Japanese tea drinking ceremonies. The difference between teas is generally a form of processing, with white tea being the least processed, followed by green, oolong and black tea. A finely-milled green tea powder that produces the most popular tea in Japan, matcha is the only form that uses the entire leaf. And the leaves are also briefly steamed after being harvested to stop the leaves from being oxidized. 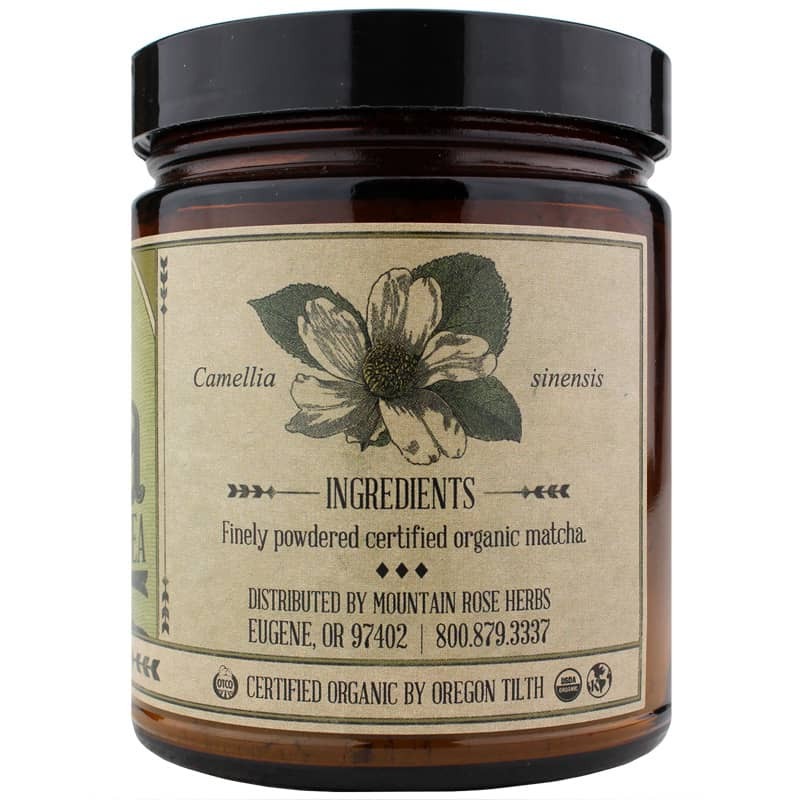 Produced from the camellia sinensis tea plant, matcha also contains vitamins A, B-complex, C, E and K, as well trace minerals and the amino acid theanine. And like other teas, it has high levels of the antioxidants known as tannins, as well as polyphenol antioxidants called catechins, especially one known as epigallo-catechin gallate, or EGCG. 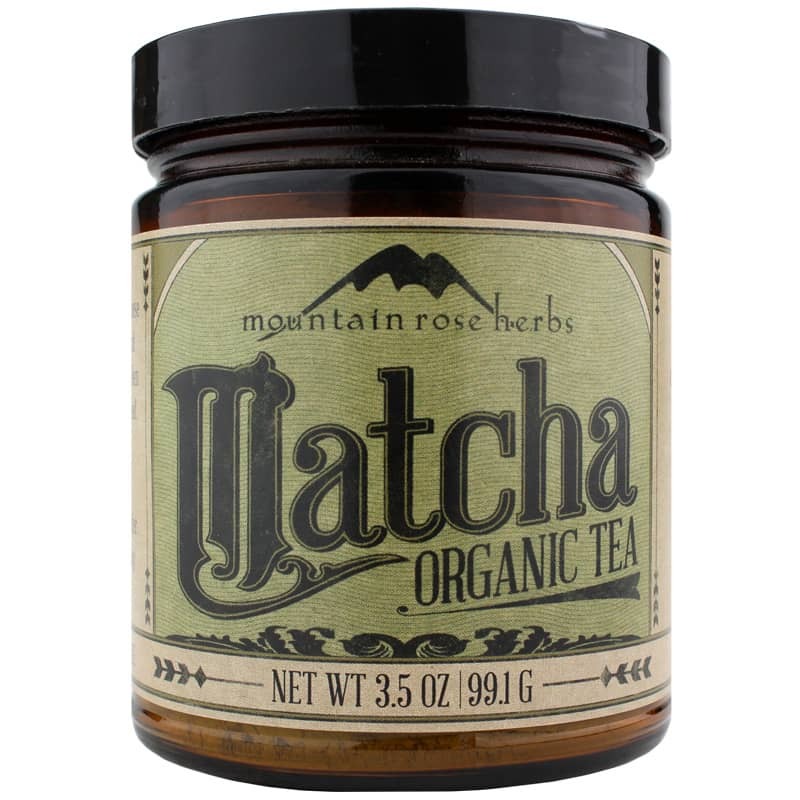 Organic Matcha Tea from Mountain Rose Herbs is an organic green tea with a bold emerald color and mildly sweet flavor. Matcha does contain caffeine, but its levels are two to three times less than black tea and as much as a tenth of that that can be found in drip coffee. To make the perfect cup of tea, you can add half a teaspoon of matcha to four to five ounces of hot water and whisk thoroughly for 45 seconds. Fine powder may settle on the bottom of your tea cup. Add 1/2 teaspoon of Matcha to 4 to 5 ounces hot water. Whisk thoroughly for 45 seconds. Find powder may settle to bottom of your cup. Enjoy within 12 to 14 months of purchase. I have used matcha tea on and off for the past few years. In the past, I usually spent between $30-45 dollars for the same amount of matcha. This is the best price I have seen for the tea.